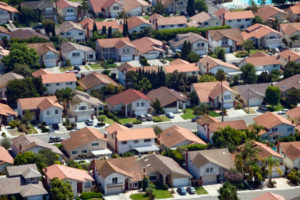 Judy Dutton with realtor.com has an interesting article looking at the high rents in San Francisco and calculated that it was less expensive to live in Las Vegas, fly to work in San Francisco and at the end of the month, you will have saved approximately $1,244. 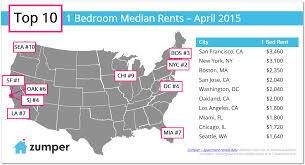 Think about it:Â The average rent for a one-bedroom in San Francisco is $3,123 per month; a two-bedroom in Vegas is only $1,012. FlightsÂ between these two citiesÂ cost an average of $70 round trip. So if you could swing a four-day workweek, your commute by airÂ would cost onlyÂ $1,120 per month, the Reddit user calculated, plus aroundÂ $276 traveling to and from the airport. So that means Vegas living will run you around $2,408, saving you $715 compared to San Francisco. Plus, the Reddit user estimated youâ€™d save around $409 per month skirtingÂ the tech capitalâ€™sÂ exorbitant living expensesâ€”Â $10 coffee, $20 cocktails in some casesâ€”and ultimately sock awayÂ $1,124 per month. Thatâ€™s for a two-bedroom in Vegas rather just one in S.F.,Â so youâ€™ll have tons of space and just a nicer lifestyle all around. Whatâ€™s not to loveÂ about that?